Frost* Design has created the branding and identity for Sydney’s newest ‘it’ dining hot-spot, CHISWICK at the Art Gallery of New South Wales. Owned by renowned chef and restaurateur, Matt Moran and his MorSul business partner, restaurateur Peter Sullivan, the new casual dining venue is located at the iconic restaurant site at the Gallery. Frost* Design, part of Frost*collective, have worked with MorSul on a range of the hospitality group’s ventures, including the award-winning ARIA Restaurant at Circular Quay on Sydney Harbour and at the CHISWICK brand’s first restaurant, in leafy Woollahra. 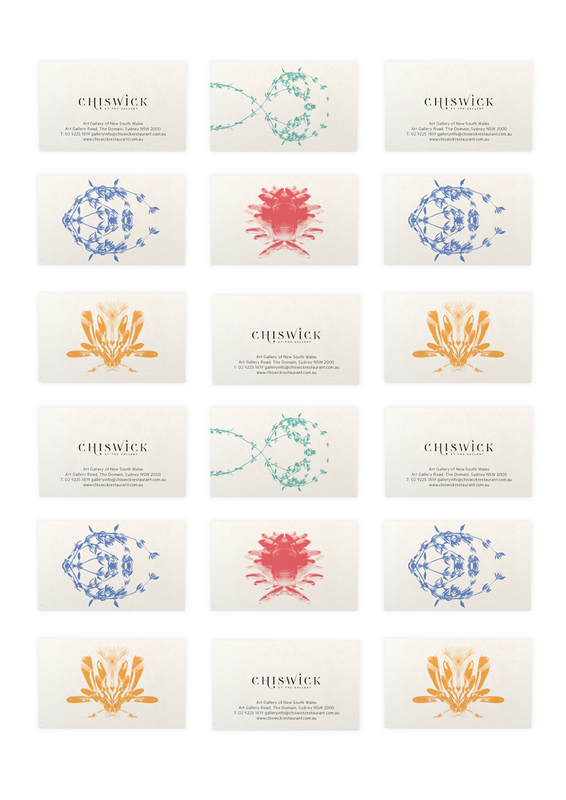 The identity and visual system created for CHISWICK at the Gallery builds upon the branding created for the hero CHISWICK restaurant, linking the two ventures as aligned under an umbrella brand, but communicating the uniqueness of each venue’s location and offer. Frost* Design aimed to carefully maintain the CHISWICK brand essence whilst creating another iteration that fits seamlessly with the new restaurant’s environment at the Gallery. 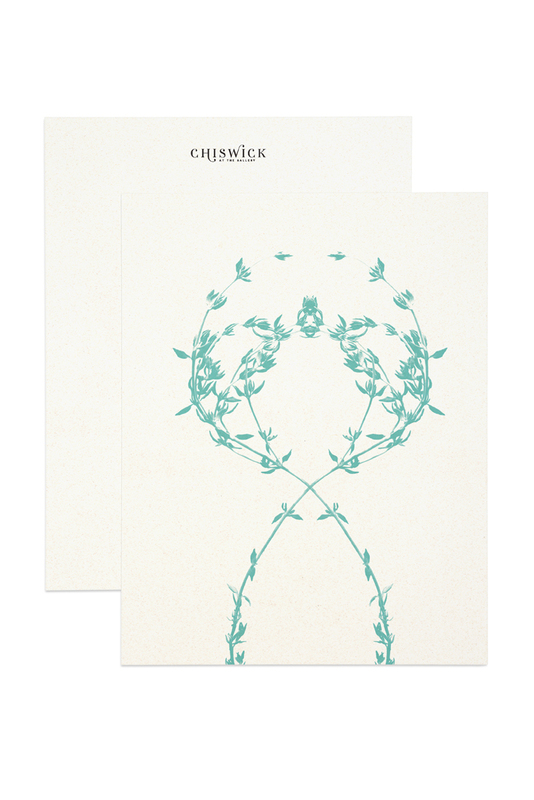 The original identity, with its tendril-like typography, referenced CHISWICK Woollahra’s garden surroundings and was married with Dieu Tan’s photography of plants grown on site. 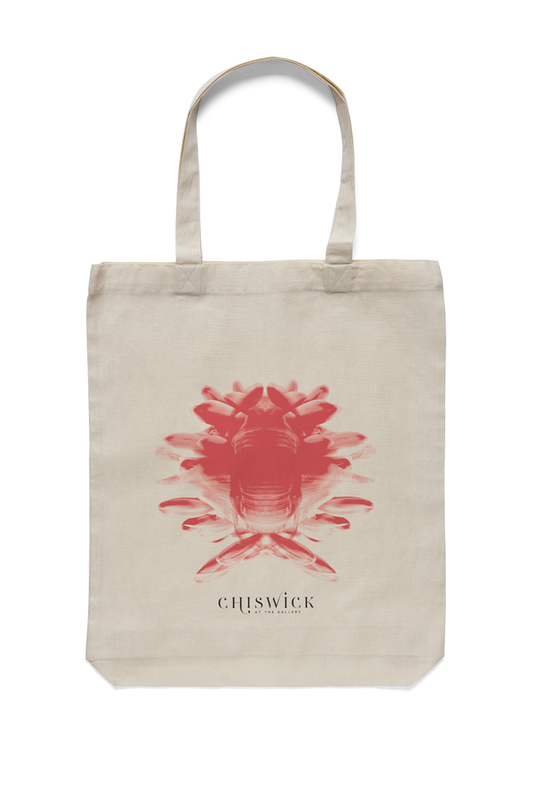 For CHISWICK at the Gallery’s visual system, these images have been reinterpreted, showing them from a new perspective, as an artist would, to create a more vibrant identity. The photographs were manipulated with reflection and overlay, to create intriguing cross-sections and meeting points. Enlivened with colour, the unusual shapes created from this process allow viewers to determine the meaning for themselves – much like looking at a piece of abstract art. “The Art Gallery of NSW is one of the most beautiful museums in Australia and the CHISWICK restaurant name has become embedded in the consciousness of Sydney’s bon vivants” said Vince Frost, CEO and executive creative officer of Frost*collective. Frost*collective have created brands for other leading chefs including Steve Manfredi, such as the identity for his Balla restaurant in The Star and his Espresso di Manfredi range, as well as the identity for Hamish Ingham’s restaurant at Sydney’s Four Seasons hotel, The Woods.